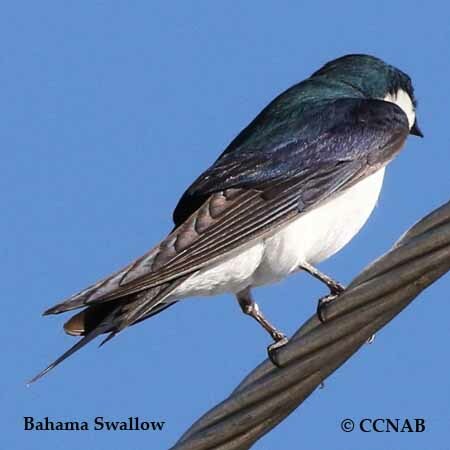 The Bahama Swallow is found mostly on the island of Andros in the Bahamas. 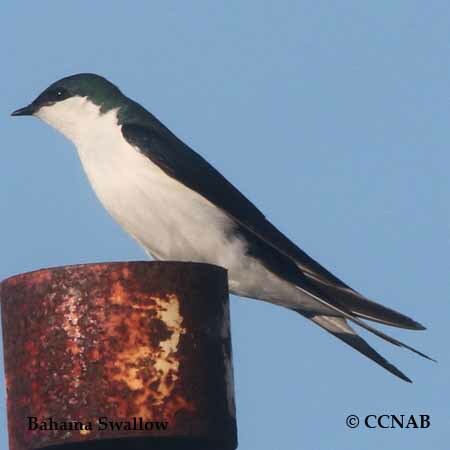 This dark blue swallow can be seen in the open fields and in the forest. 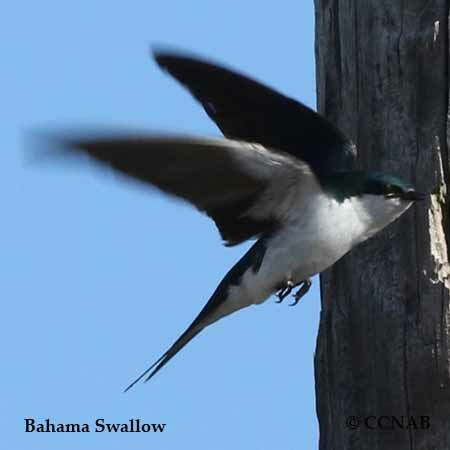 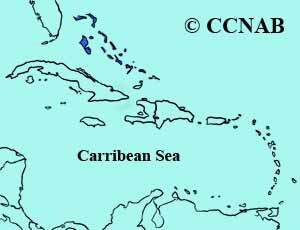 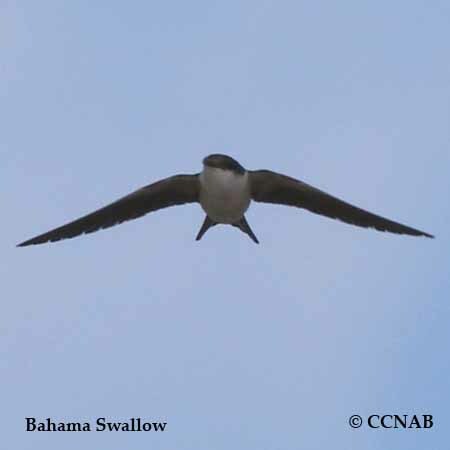 It is similar in appearance to the Tree Swallow seen in North America, except the Bahama Swallow has a forked-tail. 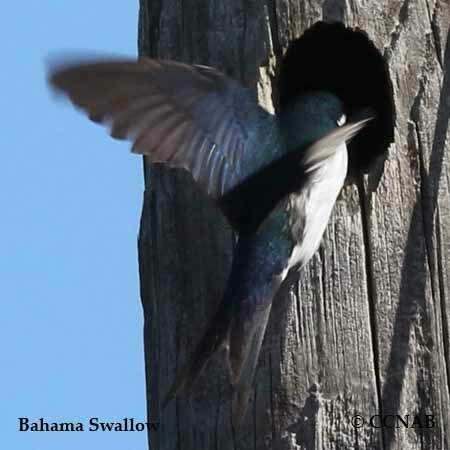 It has been a vagrant to Florida.